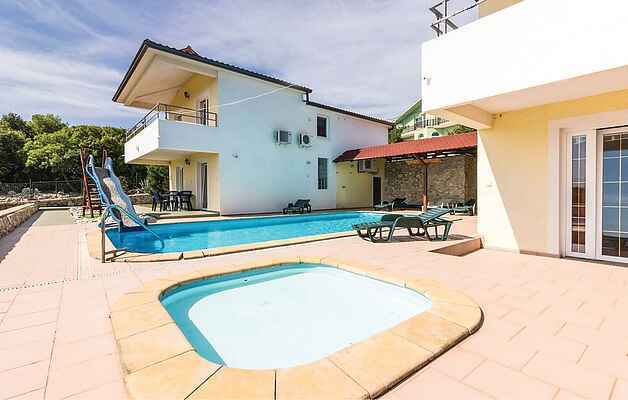 These holiday apartments (CIO172, CIO173, CIO174, CIO175, CIO176) are located in the small village of Sveti Lovrec Labinski. The apartments are arranged in two buildings on the same grounds with beautiful shared pool as well as a small shared pool for children 4 m2. For those more active, there is a shared playground for basketball, soccer and badminton. The nearest beach is located in the small place called Tunarica, small green oasis, where there is also a small campsite. Visit the old town of Labin, tourist destination Rabac with the most beautiful beaches in Istria, as well as picnic point Skitaca.